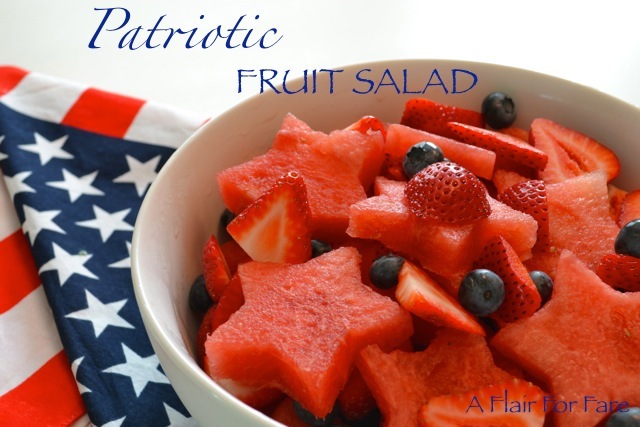 Have some fun with the 4th of July holiday by giving your fruit salad some patriotic flair. It’s so simple and so fun. 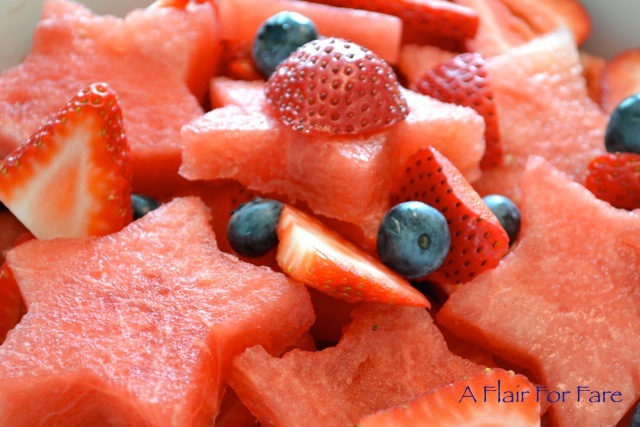 Slice your watermelon into 1 to 1 1/2 inch slices. Lay flat on a cutting board and cut out star shapes. Add sliced strawberries and blueberries. That’s it! Serve ice cold for a refreshing addition to your picnic menu.